There is still, someplace in my mind’s archive of vague motifs gathered from entertainment, this anachronistic idea of universities forcing students to cultivate their own gardens. It’s an archaic idea that crumbles easily to dust after a year or so here at UC San Diego. The idea that students are expected to return home as insufferable rose growers manifests itself in the shorthand we use to talk about ideas and feelings — tastes in literature and film. It’s possible that colleges never really introduced this agriculture of the soul to anybody. It’s arguable that making other people do something so inner is impossible. What seems plain is that the understanding of colleges as authorities helping students cultivate kosher taste is becoming unpopular. It’s a fascinating mystery, why exactly this reputation of school-encouraged snobbery is dissolving. The reputation itself is wooly and blurred, so its disappearance is hard to argue for — but one can perform guesswork that leads to my point this way: Reputations inform behavior, and students don’t seem to be behaving in a way that suggests they think they’re expected to sophisticate their pleasures. They don’t seem to be going out of their way to recognize themselves in this tradition or to agree with me that it even is a tradition. The quintessence of this dissolution is the obsession, widespread among UCSD students, with Disney movies. One explanation is that the cult of Disney is backlash in concert to the infiltration of pedantry into pleasure. Students could be ill at ease to surrender the tending of their personal preferences to something as impersonal as an institution. Who is to say what art is worthy of esteem? This tempting response is sensible, except for two glaring reasons. The first is that while one might think of schools as telling young people which writers to like as the prime example of this cult of cultivation, it is not the only example. After post-structuralist and anti-racist attacks were applied to the university’s definition of “culture,” there remained an array of books and films students were socially obligated to familiarize themselves with, both within and outside syllabi. There are plenty of radical writers and filmmakers that one imagines as socially mandatory on university campuses, not for their classicism, but for their volatility. People like Godard, Debord, McLuhan, or even trendier, more pop people, like Neil Postman or James Howard Kunstler, are mostly forgotten at UCSD, and there doesn’t seem to be a newly chosen batch of outlaws to replace them. The second reason that the idea of Disney lovers as rebels doesn’t quite work is that if students were hellbent on making norm-disrupting statements with their tastes, a Disney movie would be a terrible cultural artifact to employ as their weapon. It’s hard to name a more naked symbol of conformism or the unabashed, 1980s style of consumerism so universal that it has actually become cliche to complain about than Disney. 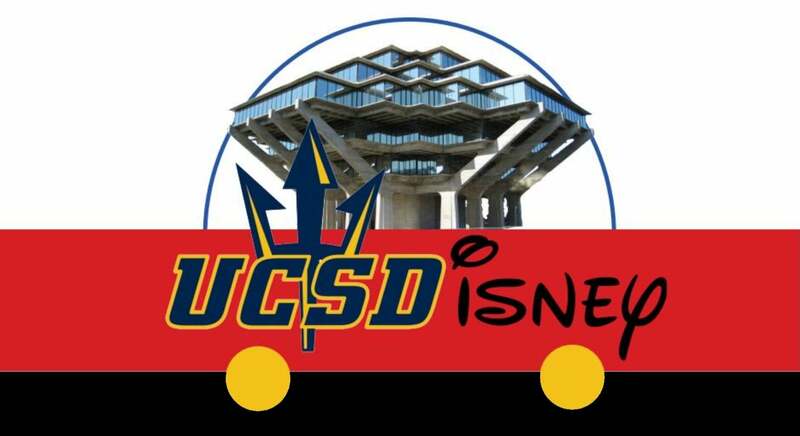 They advertise for their movies using sugary fruit snacks included by parents in packed lunches, and the idea of Disneyland, not an unpopular destination for UCSD students, is insane. Disneyland is a vertically integrated experience. They call it the place “where dreams come true.” Also, everyone has heard someplace that Walt Disney was anti-Semitic, which would matter to people in our sensitive era of ethical consumerism if they were using their enthusiasm for the cartoons to make some kind of moral or progressive statement. Students have been historically a powerful political force, and they may continue to be — but a declared affinity for Disney is an aberration from that and not an extension of it. In the same vague sense that I think universities are supposed to make students hip, I think that people with Latin printed inside little crests on their sweaters and notebooks are supposed to be embarrassed to keep abreast of Disney creations. People like to cite nostalgia, which only makes sense for movies that came out before we all grew up. Plenty of Disney movies popular on campus were seen by the students for the first time as adults. Also the popular Disney movies don’t retain the dated flavor of the decades from which they sprang very strongly. “Snow White” is very old, but it isn’t stylized in a way that makes it belong to its time — anyway, I think that recent Disney films like “Frozen” would far outpace “Snow White” in any UCSD vote. For the fact of their contemporary creation and their contemporary style, Disney movies are excluded from agreed-upon radness of a “Fantastic Planet” or a “Rainbow Brite,” both of which would make much more sense on a campus. The disappearance of the idea is, I think, pretty new. The youngest students here can now probably remember a time when their older siblings were reading something that was popular at their college. It’s hard for me to name any book, new or old, which is very popular among UCSD students. It’s only possible to name some films popular among UCSD students, and half of them are children’s movies. I don’t mean to say that UCSD students aren’t sophisticated or that they aren’t enjoying challenging art. I just mean to say that when we do consume art created for the adult world, we are all watching different films and reading different books. It is as if we’ve all agreed that these are individual pursuits. They aren’t the business of our peers and they certainly aren’t the business of our professors. UCSD isn’t here to make us posh, and maybe that’s the way it ought to be. There was something oppressive about the old-school campus culture anyway: There’s nothing noble about getting everyone to think the same way even if it’s through extremely cool pieces of art. It’s only a change in tastes stemming from the decay of an outdated rumor, but I find it a slightly strange change and miss what was an endearing rumor.